Chicago band The Locals will celebrate their ninth release, an EP entitled Stereostatic Funicular, at Double Door on August 30. The EP was produced by Steve Gillis and features background vocals by Bob Mould/Robert Pollard sideman Jason Narducy. The Locals are an alt-rock, power pop three piece based in Chicago. Fans of The Pixies, The Whigs and Yeah Yeah Yeahs dig The Locals. They have been steadily gaining more fans with their latest release "SALT". Produced by Steven Gillis (Filter), The Locals' latest effort delivers guitar heavy sumptuous alt-pop through and through. The Locals tour extensively in the midwest, and have played in clubs and festivals all over the US including: Schubas (Chicago, IL),Lincoln Hall (Chicago, il), House of Blues (Chicago, Il),Southgate House (Newport, KY), Halsted Market Days (Chicago, IL), EAT'em Music Conference (Las Vegas), Invasion of The Go Girls (SXSW) Austin TX, GOGO Festival (Kent, United Kingdom). The band did their first UK tour in 2011. The Locals were the subject of years of public resentment from The Matches (formerly The Locals, Oakland California) who had to change their name because of a trademark conflict. They released their first record on Epitaph Records and named it "E.Von Dahl Killed The Locals". Yvonne was just featured in Guitar World Magazine as one of the top "10 Female Guitarists You Should Know". 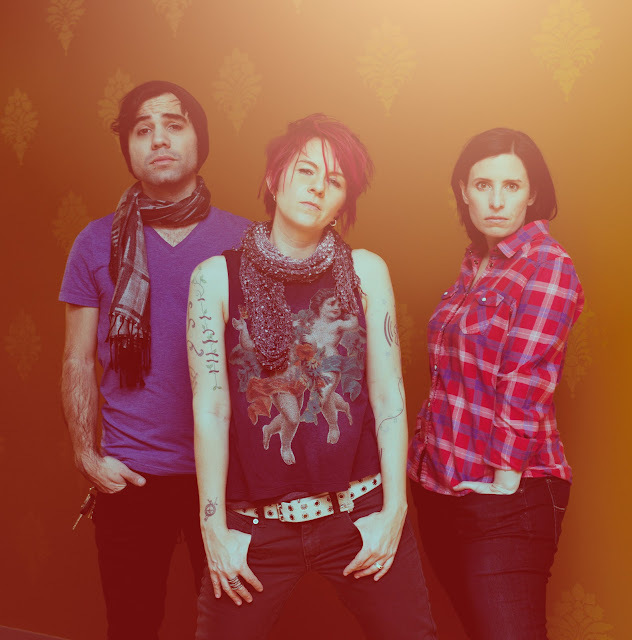 Christy Nunes (co-founder, bass player) originally hails from San Diego. Christy began playing professionally at the age of 14. She once shoved a kid during a job as the Chuck E. Cheese mascot when he kept kicking her and pulling her tail. When hen he's not drumming for The Locals, Tommy Oedering makes custom drums at the custom drum shop "Chicago Custom Percussion". 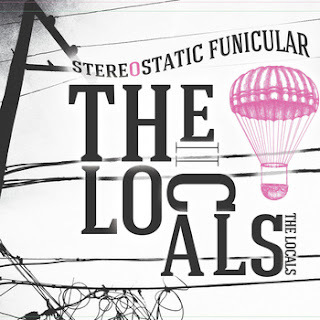 Chicago alt-pop, indie-rock trio The Locals will celebrate the release of their new EP, Stereostatic Funicular, with a hometown show at The Double Door, 1572 N. Milwaukee Ave, on Friday, August 30th. Stereostatic Funicular, which was produced Steven Gillis at Chicago's Transient Sound and features guest musicians Jason Narducy (Verbow, Bob Mould's band), Vijay Tellis-Nayak (The Steak House Mints) and Joanna Vassilatos (Radio Vago), follows 2010's critically acclaimed SALT. Stereostatic Funicular is described by The Locals as a "transitional album," as it was recorded with longtime drummer Kirk Snedeker, who moved to Northern California before the EP was finished. The EP's title was inspired by a trip to Spain, specifically by the "stereostatic" chain models that Anton Gaudi created to calculate the height/width of each column of the Sagrada Famila and "Funiculars," trams that whisk riders up to the tops of high mountains. Stereostatic Funicular's songs include "Inventio," the story of a love triangle between the Ocean, the Moon and the Sun, and "Running Toward the Sound," which is about trying to harness the unbridled instinct of hearing a sound and running full-on toward it. Fronted by Yvonne Doll, who was featured in Guitar World Magazine as one of the top "10 Female Guitarists You Should Know," the Locals boast a killer rhythm section comprised of bassist Christy Nunes, who began playing professionally at the age of 14, and new drummer Tommy Oedering, who also makes drums for Chicago Custom Percussion. The Locals have been a part of the Chicago music scene for the last decade. They have played extensively in the Midwest and completed their first UK tour in 2011.